Haviva Pedaya, poet, author and cultural critic was born in Jerusalem in 1965 to a family of rabbis and kabbalists and lives in Beersheba. She studied at the Hebrew University and the School of Visual Arts in Jerusalem. Pedaya is at present professor of Jewish history at Ben-Gurion University of the Negev, and head of the Elyachar Center for Sephardi Heritage. She has published articles on religion, sociology, art, history, and mysticism as well as three full-length studies and three volumes of poetry. She is also involved in musical and artistic projects, and founded the Yonah Ensemble which has succeeded in revitalizing liturgical and mystical music of the Near East. 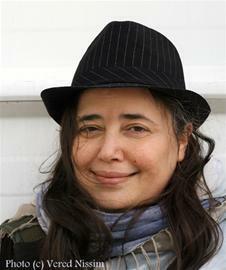 Pedaya has won many awards, among them the Harry Harshon Award, the Warburg Prize, the Bernstein Prize for Poetry (1997) and the President`s Prize for Poetry (2004).